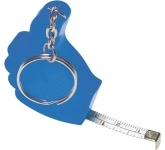 Attention grabbing printed tape measures! 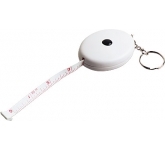 If you are fed up with seeing the same promotional business items, you should check out these branded tape measures. Apart from being extremely practical, compact, and long-lasting, these products can help you grow your business, boost your sales, and enhance your overall success! 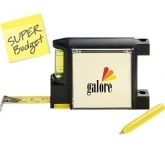 Moreover, printed tape measures won't cost you a fortune since they are indeed budget-friendly. Nevertheless, they will help you increase brand awareness. While it is true that workmen use tape measures the most, that doesn't mean that everyone else doesn't need them. 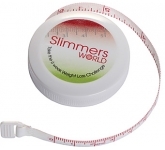 In fact, a branded tape measure could come in handy in any household, office, gym and health club. 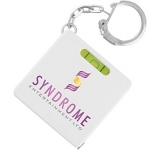 Moreover, it's great as a giveaway at sporting events and represents a practical giveaways for all sorts of other promotions. So why not make the most of it? 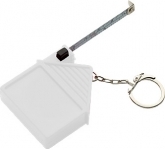 Invest in practical promotional tape measures and kill two birds with one stone; give people what they need and raise your brand awareness. By printing your logo on these useful products, you will reach out to hundreds, or even thousands, new potential clients. Plus, at the same time, you will provide people with a convenient product, which they will appreciate. 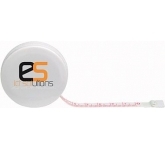 Branded tape measures aren't something that you see on a daily basis, and that already makes them kind of special. But why stop there when you can go a step further? By selecting an interesting shape, design, print, and colour, you will surely appeal to both your existing and future clients. 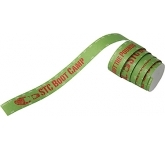 Pick a round tape measure which is ideal for health clubs. 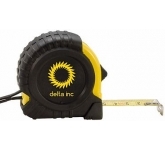 Opt for a Titan tape measure which is solid, durable, and perfect for construction related promotions. 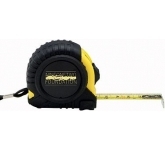 You can also select a black and yellow Builder tape measure or a convenient keychain tape measure. 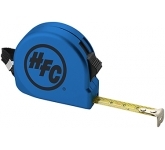 Furthermore, consider a Constructor tape measure which comes with a belt clip or a Thumbs Up keyring tape measure which everyone will find interesting. These are just a few examples; you can see the whole list and find a branded tape measure which suits your needs in the best way possible. Plus, you can always play with colours by selecting an eye-catching print which nobody will fail to notice. One more thing - don't worry about breaking your budget. Promotional tape measures are an ideal solution for those who are mindful of their budget but don't want to settle for an average product. After all, there is nothing better than finding a cost-effective solution that works wonders. 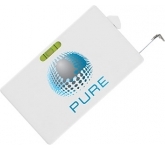 We offer a variety of printing options on our vast range of promotional tape measures including the very latest in UltraHD print technology allowing us to reproduce full colour images, graphics and logos to a standard most suppliers can only dream of. 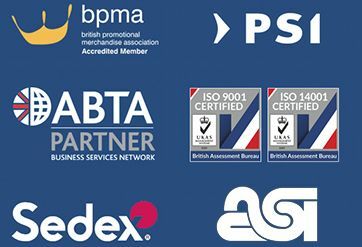 So, if you are looking for low cost, budget, value or cheap printed tape measures, and happen to find the same logo branded tape measures cheaper, with the same print specification and turnaround, just let us know and we will match the price and back it with our industry Award Winning Customer Service - that's our guarantee! 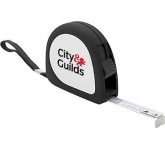 For additional information on our branded tape measures, or to find out exactly how promotional products can help your company to enhance its advertising and marketing efforts, simply contact us and have a chat to one of our dedicated account managers who will be happy to advise you further.